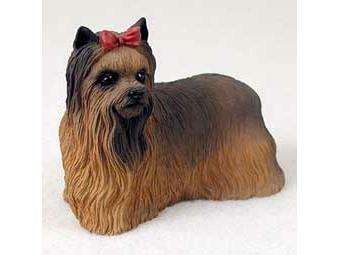 Yorkshire Terrier Figurine measures between 3" to 4" tall. Made of a stone resin and hand painted. Buy this item and earn 15 points valued at $0.75.